“And God said, Let the waters under heaven be gathered together unto one place, and let the dry land appear: and it was so. And God called the dry land Earth; and the gathering together of the waters he called the Seas: and God saw that it was good. And the earth brought forth grass, and herb yielding seed after his kind, and the tree yielding fruit whose seed was in itself, after his kind: and God saw that it was good. First Book of Genesis, verses 9 to 13. King James Version. Three days into the school summer holidays, the Walsall Cabinet of Dr Caligari met in secret to discuss the education contract with, please stop yawning at the back, Serco. When a somnambulist takes on a mountebank, the result is as hilarious and horrific as the classic German expressionist film directed by Robert Wiene in 1920. Serco, at least in Walsall, is history. The timing of this decision is most telling. With the majority of teaching staff, governors and school senior management teams off painting water colours in Devon, on walking tours in the Carpathians or attending Hezbollah training camps, reaction will be difficult to analyse. Most of us have become accustomed to pronouncements from the council late on Friday afternoon after the local paper has been put to sleep, but announcing such a u-turn three days into the hols is really extracting the urine. The very people that were once so eager to get into bed with with the Serco cowboys now talk of a changing “landscape” which sees Serco as surplus to requirements. God, in the earthly form of Mike Bird, saw that it was bad. Details of what the new “landscape” will look like have yet to emerge but our wonderful council tells us that they will “work closely with headteachers and key stakeholders” to “redesign” services. Oh dear, more consultation. Hands up any Headteacher or key stakeholder that has been “consulted” prior to this admission of failure other than the regular and obvious statements that Serco is crap. The waters parted by Michael Gove`s Education Bill gives rise to a new topography that Walsall children can now explore. But suffering little children should beware; there are lions and tigers and bears, oh my, out there. The bottom line is, with all due respect to the 1944 Butler Education Act, schooling in this town and the rest of the country has failed. With an imbecile like Gove being allowed access to sharp instruments and the morons on Walsall cabinet refusing to sit on the naughty step, the message to our children is clear. You`re on your own, kids. Serco, of course, will have the last laugh and their lawyers can look forward to a massive Christmas bonus once the messy litigation comes to its conclusion. Barristers and not books will now be the funding priority of our hopeless local authority and Bird and his chums will creatively ignore the fact that it was their decisions that led to a massive waste of money and the abandoned aspirations of thousands of children. God created heaven and earth in six days and rested on the seventh. Cameron, Gove and Bird display less infallibility. It has taken them 15 months to destroy the future. On day four of the summer holiday, teachers, parents and other “key stakeholders”, namely children, might be in two minds about bothering to turn up in September. With no alternative plan in place and with Serco at long last kicked out of town, God knows what fruit and herb yielding seed will be brought forth. Compared to the Secretary of State for Education, Christopher Rajendran Hyman CBE, chief executive of Serco, seems like an affable, self-effacing sort of chap. “I’m no genius”, he claims, and when asked about some of the more controversial activities of his company, he said: “I have no idea. I’m not a politician. If I was any brighter I’d say something else.” Humble to the point of obsequious insincerity and an active Pentecostal Christian, he claims that “what I am successful for is listening to God”. But behind this pious, cheery modesty, is a shrewd and some would say ruthless businessman. Born and educated under apartheid in South Africa, young Chris graduated from the University of Natal and got his first break working for Arthur Andersen, the accounting giant who, after being found guilty of various misdemeanours during the Enron scandal, simply disappeared as the brand had become so toxic. Hyman, and much of the Andersen business, moved to Ernst and Young, another big beast of accountancy and hardly paragons of virtue or, indeed, legality. Ernst and Young audited the accounts of Equitable Life during unlawful annuity fiddling, the Allied Irish Bank prior to the collapse of the Irish economy and, in case you have forgotten, Lehman Brothers. Hyman, of course, had nothing to do with the wrongdoing and was already building Serco even as his former employers were auditing the end of the financial world. Interestingly, and completely unrelated, a sizeable chuck of the disgraced Andersen empire was taken on by Grant Thornton, Walsall council’s very own auditors. There is no suggestion that Mr Hyman was involved in any criminality, but the lessons he learnt from some of the more “creative” activities in the financial sector provided him with an excellent education in how to make lots of money and, if necessary, cover any embarrassing tracks. As an increasingly dominant “service provider” both globally and in the UK, Serco`s Chief Executive has described the recession as “good for business”. He has, presumably after listening to God, been proved correct as Serco profits and shareholder dividends go through the roof even as the Osborne economy stagnates. With profit rather than service being the main motivator, the masters of the PFI contract beloved by Blair, Brown and now Cameron, are doing very nicely thank you. This humble blog has previously commented on the service provided by Serco and the lucrative education contract with Walsall council and it would be churlish to go over the same old turgid prose. Simply repeating some of the more unsavoury goings on at Serco will achieve nothing and will not stop Hyman and his chums from making vast amounts of money from the exploitation of children. Time to draw a line and move on, as the guilty are so fond of saying. Putting the past behind them, local authorities in Stoke-on-Trent and Bradford have decided not to renew their education contracts with Serco. After 10 years in Bradford, Serco depart leaving schools in a worst state than when they arrived and there is no evidence of the promised improvement in academic standards. In Stoke, central government had to intervene to sort out the mess. The notorious Yarl`s Wood immigration centre, where a high court judge found that Serco acted unlawfully in the detention and abuse of children, is to be shut down. Walsall council now seek to re-negotiate the Serco contract and cabinet meet in secret session on Wednesday to see if it can claw back even more of the £345million paid out to allow the destruction of accountable learning in the borough. This is over and above the £7.5million already demanded which, in the great scheme of things, is small beer given the number of schools being cajoled, bullied or rail-roaded into leaving local authority control. For Serco, this is not a matter of dogma or proselytism. 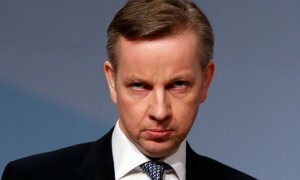 Those evils are the preserve of the idiot Michael Gove and the rather sinister individuals who feel compelled to control Academies. For Serco, it is a matter of financial pragmatism and revenue before provision. Expertise indeed, at Yarl`s Wood, Darlaston and Sneyd, Blue Coat and Shelfield, Leckie and Barr Beacon, Frank F and Alumwell, Willenhall and St Francis, Park Hall and Ryders Hayes, nothing will stand in the way of profit. The removal of 90 Serco posts involves the retirement and re-deployment of some of the bullies and the redundancy of the good folks previously in the employ of the authority who actually make a difference in the classroom. For all the sudden bluster, particularly from the leader of the council, the secret meeting of cabinet will achieve very little. There will be lots of outraged indignant hot air, but the sad fact remains that our rather stupid civic worthies have been taken in by some greedy snake-oil salesmen and the 12 year contract with Serco will prove to be unbreakable. There has been no improvement in Walsall schools. Serco didn’t get to where they are today by taking any notice of democracy, public opinion or morality. A company that maintains nuclear and chemical weapons, transfers and monitors criminals, abuses children and is involved in suspicious air traffic control and “ground handling” activities can afford some very clever lawyers. Walsall doesn’t stand a chance. Having endured apartheid in Durban, Mr Hyman has done rather well out of doing the dirty jobs that governments don’t want to do and is well placed to have an opinion on civil liberty and the rights of children. It is unlikely that his enjoyment of the delights of Antigua in the Leeward Islands and on the pistes of St Moritz and Davos will be lessened by some minor irritation in Walsall. Having graduated from oppression, his true reward, along with that of Michael Gove, will undoubtedly and ultimately be found in heaven. So another academic year draws to a close in Walsall. It is a time of transition, reflection and celebration and a wonderful opportunity to reconsider just how Michael Gove, along with Serco, can be utterly useless and evil all at the same time. Attending a Year 6 graduation ceremony, a few tears had to be wiped away as the immaculately well behaved 11-year-olds in their caps and gowns received certificates from some local dignitary. Sadly, the tears were not just induced by parental pride. The 60 or so big kids in a little school will soon be little kids in a big school and after suffering a diminished education in Key Stage Two brought about by the twin threat of Gove and Serco, they head off into an uncertain future. They, and their parents and their teachers, have been betrayed in the name of ideology and profit. Gove and Serco like the idea of Academies. Serco like Academies because, being out of Local Authority control, the private company does not need to spend any money on them and so can keep more of the lovely cash being wasted by Walsall Council on the Serco contract. Gove likes Academies because he is a blithering idiot. In just a single academic year, Gove has managed to unravel a system that began to develop after Samuel Wilderspin opened an infant school in Spitalfields in 1820. His book, “On the Importance of Educating the Infant Poor”, lay the foundations for the right of a child to an education funded by the state through general taxation. The book is out of print, but given the resources available to Michael Gove, his summer homework should be to find a copy and read it. After Gove rushed through the Academies Bill in his first weeks in power, the incompetent oaf was surprised to find that the offer to “outstanding” schools of Academy status was welcomed with all the enthusiasm of the prospect of a holiday in Libya. So plan B was initiated. The Building Schools for the Future programme was cancelled, leaving school buildings to rot. The message was clear. If you want funding to stop your school from falling down, become an Academy, sign here, sign here now. There was, however, still very little interest. Within months, plan C involved a complete reversal of plan A. Instead of “outstanding” schools being offered the privilege of being privatised, “failing” schools would be forced into Academy status. Lesser ministers would have been at least embarrassed by this admission of failure, but not little Michael Gove. After being judged to have acted unlawfully in cancelling BSF and after being caught red handed fiddling his expenses, including a claim for a cot mattress, the words “crooked”, “conniving”, “inept” and “moron” are not part of his vocabulary. Plan C failed because, in spite of the best efforts of Michael Gove, schools are actually improving even set against the arbitrary and ridiculous targets imposed by a public school millionaire. Undeterred, Gove has moved on to plan D. In a move worthy of Colonel Cathcart in Catch 22 by Joseph Heller, Gove simply increased the already stupid targets for GCSE and Year 6 SATS results by 10 per cent. This means that schools achieving the required progress in the Spring Term, are now judged as “failing” in the Summer Term. Furthermore, rather than being reliant on the examining bodies to set questions that are impossible to answer and then place an infinite number of monkeys to mark the completed exam scripts, Gove is now interfering with the curriculum. As an example, the Year 6 SATS reading test this year was an article about speleology, not a subject one would expect the majority of 11-year-old Walsall children to have any knowledge of or, more importantly, any interest in. Surprise, surprise, the target for literacy has not been met. More “failing” schools consigned to the pothole of Academia. Interestingly, the article about caves came from the Sunday Times, the mighty organ that employs the fragrant Mrs Gove. In 2009, according to his own declaration of interests, News International paid Gove £5000 per month for four hours work. Gove admires Joel Klein, another villain, who closed schools and privatised education in New York City. Klein is now a senior executive at the retirement home of choice for bent officials, you guessed it, News Corp. So why is Gove and the rest of the wretched coalition government so hell-bent on destroying education? The answer is an obsession with control. The basic premise seems to be the desire to thwart any aspiration or ambition that the lower orders might dangerously nurture. A stupid population is a compliant workforce. Academies, free from accountability, the irritating scrutiny of locally elected representatives and, God forbid, parents, can set whatever agenda they like. It is more than coincidence that “sponsors” of Academies are usually either religious groups, contributors to the Conservative Party or both. With hollow rhetoric worthy of Goebbels, Gove dresses this scarecrow with talk of greater choice for families. That choice is Academy or “Free Schools”, a description that old Joseph G would have been proud of. There are two major flaws in this attempt to dominate the curriculum and so indoctrinate young people. Firstly, there is no evidence that established and well funded Academies do any better under Gove`s farcical targets than the crumbling schools currently being bullied into submission. Secondly, producing an endless stream of factory fodder makes no sense as the government is laying waste to industry at a faster rate than it is laying waste to education. There is, though, something more sinister in Gove interfering with the future of children. The current GCSE history course, for example, has been withdrawn without consultation, justification or explanation by Secretary of State Gove. It is to be replace at short notice by a course that is more to his liking. Medicine will be studied and reading between the lines of the new prospectus, it would seem that the course will concentrate on the importance of self-care and and personal responsibility for health. This is a noble and worthwhile “learning outcome” as they say at Serco, but with the not very subtle intention of tackling the obesity pandemic by stealth, and concentrating on health provision before the NHS was established, the GCSE is more about political dogma than history and a splendid preparation for the destruction of the NHS. Add to this a module on “The War on Terror” and the rest of the course concentrating on “Germany 1919 to 1945”, history will be re-written by examination boards. It is unlikely that “The War on Terror”, a phrase coined by a war warmongering half-wit in the White House, will address the issues of the crusades, the 100 years war or the geopolitical addiction to petroleum. Teachers will find it difficult to offer this propaganda to any students other than the privately educated children of cabinet ministers. “No, no, no,” gush Gove`s department, “it’s not just about Muslim terrorists, it’s about Catholic terrorists too.” We should also be very worried that a “Dummies Guide to Fascism” is on the curriculum. Should they survive beyond A-level, any student unfortunate enough not to have a very wealthy pater or mater, will need to think more than twice about entering higher education. EMA went the way of BSF and university tuition fees went through the roof thereby denying tertiary learning to all but the very well off. The latest insult to young people being denied the right to higher education comes from serial hypocrite Simon Hughes of the diet Tory Liberal Democrats. His big idea is to award three university “scholarships” to every secondary school to bestow in some X Factor style competition. The lucky winners will be allowed to ascend from below stairs and feast on the scraps discarded from the top table. As for the runners up, they can contemplate a life of unemployment and, after learning of the wasteful NHS, our holy war against terrorism, lurid tales of the Weimar Republic, book-burning, intolerance and the persecution of minorities, will learn to know their place in society. As for the 11-year-old graduates serving tea and cucumber sandwiches to their proud families, our tears will not be enough. 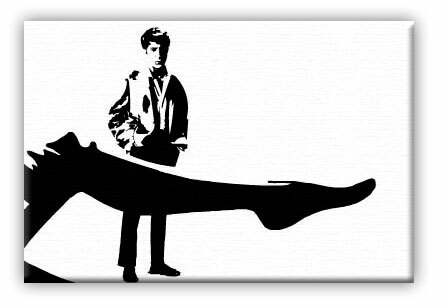 The Graduate – Part two. As fighting intensifies in our justified and completely legal war with the Faroe Islands, the British government is preparing to deploy the full might of our reserve forces to ensure the nation has unfettered access to British whale stocks in the Arctic circle. With only three whales known to be left in existence and with global blubber prices now out stripping the price of oil, vital supplies of whale meat are threatened by the aggressive stance of the Faroe Islands government. By suggesting that the whales are in some way not edible and should be allowed to stay alive, they have left English Prime Minister Hugh Grant no alternative but to declare war after last ditch negotiations failed to make the foreigners back down. The mobilisation of the reservist fighting force is the first time England has needed to defend itself from foreign aggression since plans to modernise the armed forces were announced way back in 2011. The regular army, currently represented by Corporal Nick Clegg, will remain in London to defend the Fortnum and Mason tea room from the ongoing food riots and the last surviving member of the second battalion, the parachute regiment, acting sergeant Ed Miliband, will remain on patrol outside the Westminster branch of Starbucks armed with a pitchfork. Members of the Kings Own Big Society Regiment have been told to report to Carlisle and officers and other ranks of the Royal Regiment of Tesco will embark from Berwick-upon-Tweed. Transport minister Richard Branson has arranged for special trains to transport the troops at a knock-down price of £475 and has told the part-time soldiers that all major credit cards are acceptable. 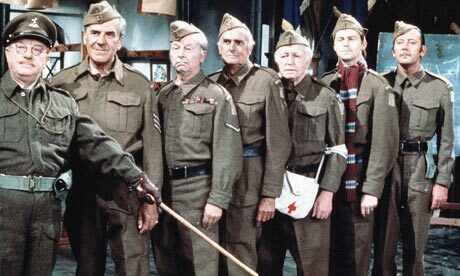 Coalition government partners have responded to the war effort by also discounting prices for our brave fighting men and women. Easyjet are offering one-way flights to Tórshavn for just £9-99 (airport tax and fuel duty not included – total £3,789-67). Primark have their summer line of body armour and boots available for purchase and Toys`R`Us have a wide range of guns and ammunition for sale. RAF Leuchars was formerly the home of the Tornado multi role jet fighter force until the aircraft were placed on e-bay in 2013 as part of the modernisation of the armed forces. Military strategists at the MOD have reassured the war cabinet that the new owners of aircraft, the Faroe Islands, will not be able to operate the squadrons as it is impossible to fly ground attack sorties when wearing a horned helmet. With Prime Minister Hugh Grant away filming in Tuscany, it was left to Deputy Prime Minister Joanna Lumley to take questions from the Leader of the Opposition, the Right Honourable Ryan Giggs. When asked if England’s aircraft carrier fleet would be deployed, the DPM pointed out that engaging the carriers would be impossible as they are currently in use as a floating bridge connecting Southampton to the Independent Republic of the Isle of Wight. She went on to list the growing number of nations willing to join the war against the Faroe Islands. She informed the house that the Manx Free State is providing logistics in the form of three shopping trolleys and Gibraltar is sending a pedalo. Home Secretary Rebekah Brooks promised the house that it would all be over by Christmas and that volunteers are most welcome. “Here’s a great opportunity for the public to take part in what will be the first ever Big Society war. Death and mutilation is a small price to pay if we wish to ensure blubber supplies and make sure we can continue to award fair and proportionate bonuses to bankers.” she said. Clive Dunn and John Laurie were not available for comment. In case you hadn’t noticed, it rains in England. That’s what makes it a green and pleasant land. On Saturday morning, it rained a lot and the breakfast of cream cheese bagels and Yorkshire tea could not be enjoyed out in the garden. Life is tough when you are under the weather. 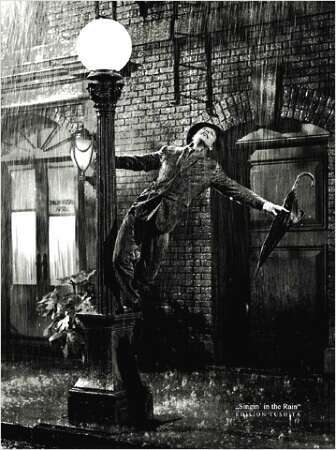 There are some who complain about rain which is rather like shouting at trees because they are big. Rain, however, grew the grain to make the bread, the grass that fed the cows and the leaves of Assam, Sri Lanka and Kenya that blended the brew that made Betty of Harrogate famous. Right now, there are a number of people in the Horn of Africa that would welcome a few drops of rain, let alone a bagel and a cup of char. Strange then that our “local” rag, the Express & Star, should take umbrage at our “local” Walsall council tweeting about the rain. As Albert Hammond might have observed, guess it never rains in southern Wolverhampton. Daniel Wainwright, local government editor at the “local” fish and chip wrapper and cat litter substitute, seems to question council tax value for money when a tweet is published stating “rain, rain go away”. Given the Excess & Swastikas obsession with the weather, non-stories and irrelevance, this stance seems a little bit hypocritical and is further evidence of a dying press brought about by lazy journalism and complete ignorance of new media. Regular readers of this humble blog might raise an eyebrow at the hippo rushing to the defence of Walsall council and its woeful web presence, but, unlike the E&S, Walsall council are at least making an effort. As the Wainwright piece went to press, the council web team were engaging with Twitter to ask how the dreadful website could be improved and even offered a preview of the work in progress and encouraged comments and suggestions. It is unclear if Mr Wainwright finds this exercise a “particularly good use of a communications officers time”. As with most of the content of his newspaper, Mr Wainwright and his feigned colic is unimportant and is the product of a fear of the unknown coupled with aggression towards potential competition. There is a time-honoured shorthand in the press that indicates fabrication. When a piece contains the words “an insider said” or “sources close to”, you can bet your NUJ card that the quote was made up in the pub an hour earlier to give credence to whatever agenda is being peddled. Wainwright uses the old chestnut “a reader from Walsall wrote to me” to justify exposing, as any responsible journalist would, this scandalous waste of council tax money. His unnamed and articulate correspondent complains of paying tax to a council with “too much time on their hands”. It is interesting that outraged of Walsall has the time to write a letter to a Wolverhampton journalist to complain about what has offended him on a Walsall Twitter stream. When Walsall council offer trite, patronising and “anodyne” tweets, he could, as many of us do, offer an instant and acerbic 140 character reply. For the benefit of the E&S, the word “b*ll*cks” has eight characters. The Wainwright piece suggests that the loathsome Eric Pickles might be interested in this outrageous weather storm engulfing local government and goes on to quote the equally loathsome Alastair Campbell and rambles somewhat incoherently about the power of Twitter and the closure of the News of the World. Earlier, another E&S columnist attempted to describe the entire phone hacking scandal as something of a storm in a tea cup in which “nobody died”. As yet, there is no evidence to suggest otherwise, but this avoids the fact that people, including a child, died during the illegality. The printed press, now in a desperate fight for survival, is attempting to take shelter from the deluge of disgust by attacking new forms of news dissemination. Interestingly, both pieces in the E&S did not appear online and so any response, either in agreement or opposition, has to made via quill and parchment with no guarantee of acknowledgement. However, our own redoubtable YamYam was able to bring this guff to an audience that has long since stopped buying newspapers in favour of a more immediate and reliable source of news. The redundancy of talented, hard-working and honest journalists can never be a reason for celebration but with old media happily continuing to splash through puddles and swing around lamp posts in the carefree style of Gene Kelly, now under the watchful eye of NYPD`s finest and with the arrest of Rebekah Brooks, it doesn’t need a weatherman to know which way the wind blows. Almost 50 years have elapsed, but Mr Zimmerman’s blue-eyed son is finally being taken seriously.